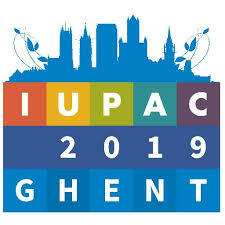 As host of the IUPAC International Congress, we at Ghent University want to make this congress as impactful as possible. You can support us in achieving this goal by joining the conference May 19-24, 2019 in Ghent, Belgium, at the International Convention Centre (ICC). In the middle of Ghent’s largest park, the ICC is being prepared for the arrival of 1500 crop health specialists. Amongst them are world-renowned speakers, academia, experts from industry, policy makers and many others. Participating at the conference gives you the opportunity to broaden your network and to reach out to your fellow crop-health experts. The overall conference theme will be “Crop Protection: Education of the Future Generation”. There is an explicit intention that the next generation of crop health scientists and professionals will be involved, and are waiting to be inspired by you. Want to find more about the exciting programme being offered? Check the programme or subscribe to our newsletter via the button below.